Florida Fireworks Laws: What Fireworks Are Legal? Are Fireworks Legal in Florida? If you're planning a holiday fireworks show, you might want to brush up on Florida's fireworks laws, which recently changed. The bottom line is that just because you see it in a store or at a roadside stand doesn't mean that it is legal to purchase, possess or use it! If you're not sure whether a particular firework is approved for consumer use, the Florida Fire Marshall publishes a full list of legal sparklers each year. Can I Buy Roman Candles or Other Fireworks? Roman Candles are not legal in Florida, and while you can buy other fireworks, it is illegal to do so. Stores who sell these fireworks are exploiting a loophole that allows them to sell the fireworks for legal, approved uses. When you buy them for your backyard fireworks show, you are breaking the law. What If I Sign a Wavier? If you try to purchase fireworks (other than sparklers), stores will often ask you to sign a wavier form. If you read this form carefully, you will notice that you're stating that you intend to use the fireworks for an approved purchase, such as use on your farm or at your fish hatchery to scare off animals. This lets the store off the hook. If you're lying to them, that's your problem, not theirs, in the eyes of the law. The waiver protects the store, not you. But Everyone Else Is Doing it! It's true that lots of people set off illegal fireworks in Florida. Lots of people also speed, jaywalk and break any number of other laws. You're just gambling that you won't be the person who gets caught. What Can Happen If I Set Off Fireworks Illegally? 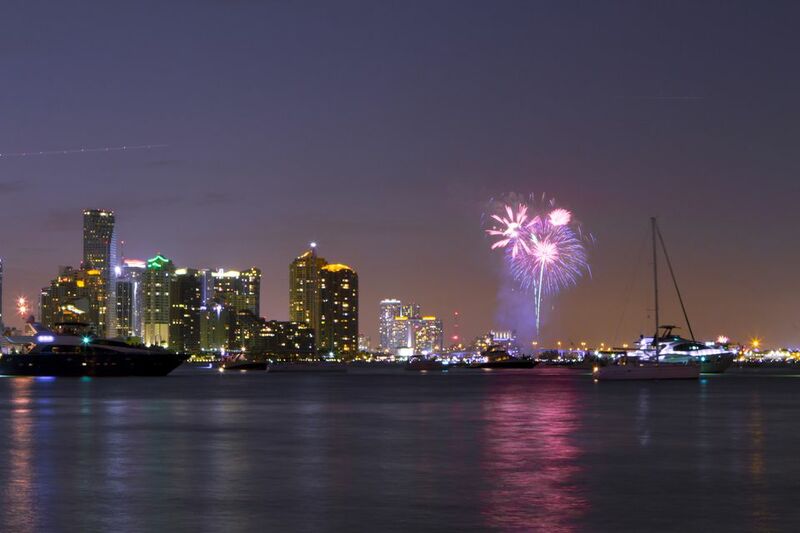 In Florida, possession or use of illegal fireworks is classified as a misdemeanor. If you violate this law, you can be arrested. If found guilty, you can be fined up to $1,000 and sentenced to up to a year in prison. What Kinds of Fireworks are Legal in AZ? How to Plan a Cool Vacation During the Hot Florida Summer!